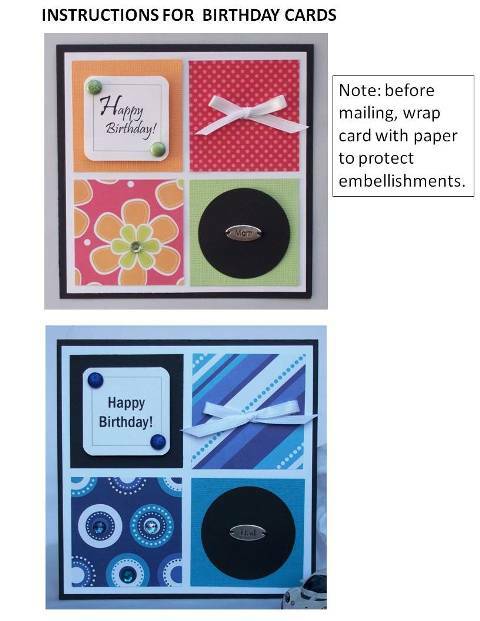 Do you have a lot of birthday cards to make? I think birthday cards are one of the most type of cards that I make. I try to encourage my daughter to make birthday cards for her friends or family members and it comes in handy when her mom has all the supplies she needs. My card making paper scraps were piling up again so it was time to create a card so I could use up my scraps. It's my go-to card idea when I have left over material that I don't know what to do with. 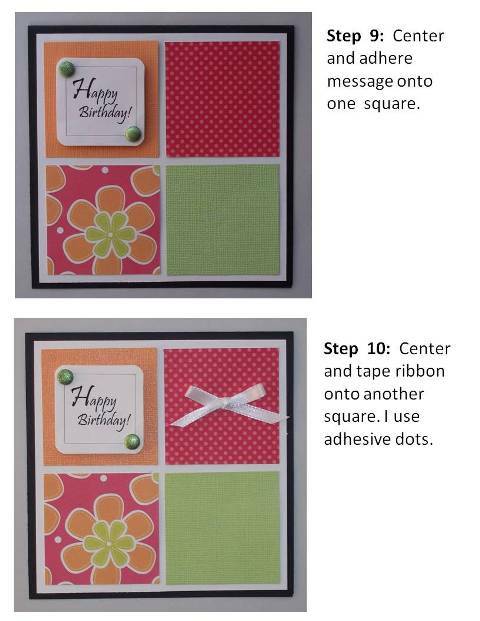 Polka dot paper seems to never go out of style and also scrapbook paper with flowers on it can always be used. 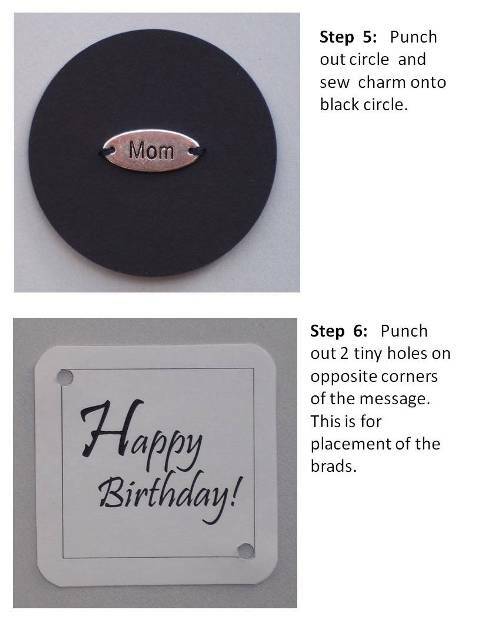 I found a great deal on a pack of charms so I decided to create a birthday card for moms. You don't have to have a charm but you can substitute it for any other embellishment or use stickers and it doesn't have to be for just mom. 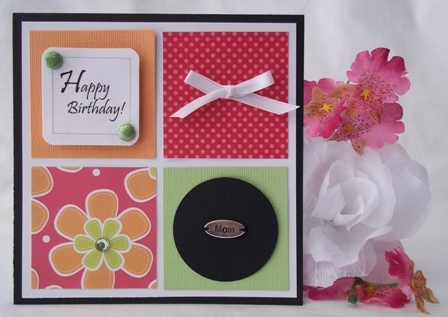 What's great about this card is that you can use just about any embellishment on any square. 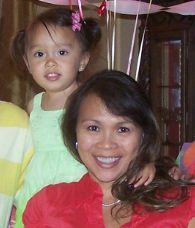 I like to try to incorporate the colors for my embellishments with what's on the prints. 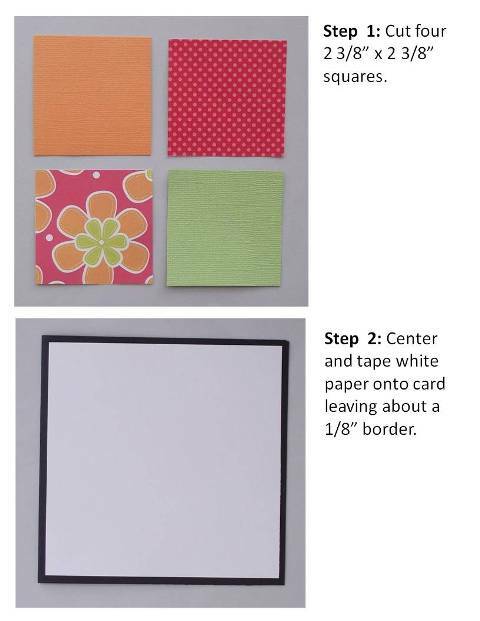 If you have scraps that are smaller, make a smaller card. Just proportion the components accordingly. 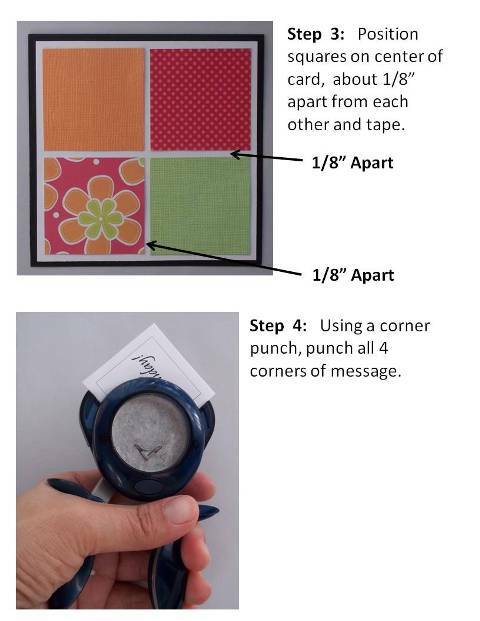 You don't have to make the card square. 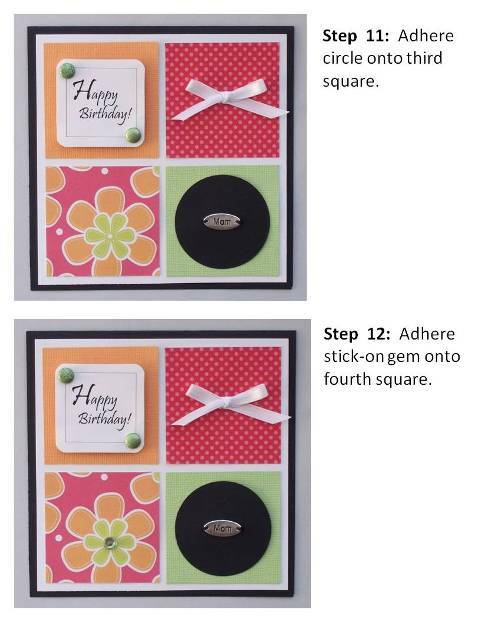 Make your card a rectangle shape and cut your quarter sections to fit the card, allowing for 1/8" border around the quarter sections. 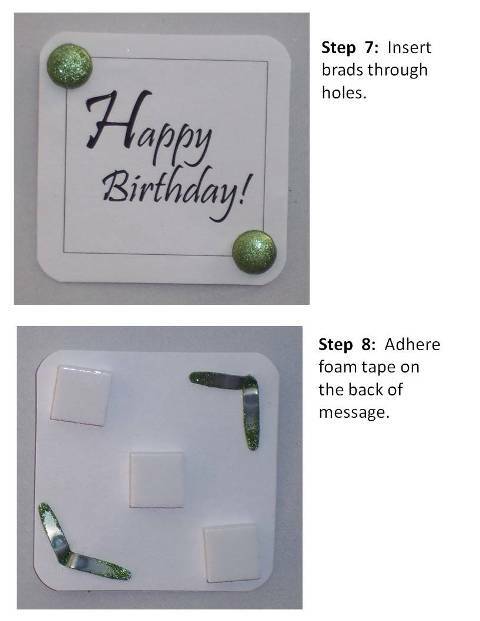 Click here for more birthday cards to make.